With supermarkets apparently adding over 1 million tonnes of plastic packaging to the world each year, we really need to do our part to stop it. Stop buying broccoli wrapped in plastic when you can buy it loose (and cheaper as well!) Choose meats and fish off the meat and fish counter, rather than pre-packaged from the aisles. There are all sorts of things we can do. And hopefully, the supermarkets will soon take note of Iceland supermarket, who have vowed to rid all their own products of plastic packaging within 5 years time. So if Iceland can do it, why can’t the other supermarkets? Or just stop producing plastic carrier bags, like the supermarkets in Australia. If you’re looking to reduce your plastic use, then How To Go Plastic Free by Caroline Jones has 100 fantastic easy to follow tips to help you go plastic free. 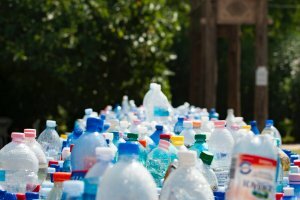 What products do you have at home that are made from plastic and you could swap out? Toothbrush? We’re advised to change our toothbrush every 3 months at most. That is a hell of a lot of plastic we’re adding to landfill and the ocean. How about a bamboo toothbrush, some of which only take about 6 months to biodegrade. Do you start your day with a cup of coffee? 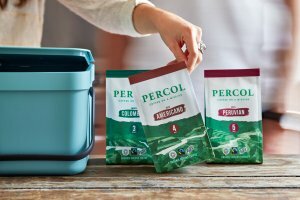 Percol have recently launched the world’s first range of Ground and Beans coffee in 100% plastic free packaging. This is great news as approximately 100 million non-recyclable, plastic lined coffee packs are produced each year, which contributes to the 91% of all made plastic that is never recycled. Enjoy a couple of slices of toast for breakfast with your coffee? 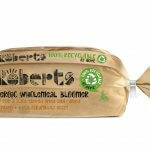 Then Roberts bakery have created a new bloomer range (Heroic Wholemeal, Wonderous White, and Seriously Seedy) where the packaging can go straight into the paper recycling bin rather than general waste. 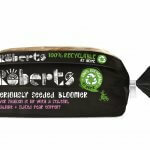 This is helping cut down on the nearly 11 tonnes of hard-to-recycle plastic packaging produced by bakeries each year. That is the equivalent weight of the Eiffel Tower, 60 blue whales, or 1952 killer whales! 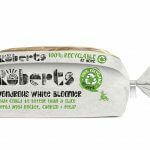 Did you know though, that the majority of plastic bread bags can be recycled along with your carrier bags at most supermarkets? If you’re in a rush and having breakfast on the go, then how about a handy travel mug to keep your tea and coffee hot? 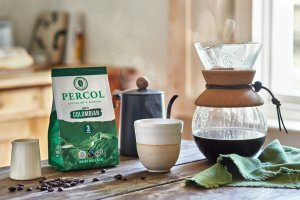 Not only are they great for keeping your brew hot, but also if you’re popping into a certain supermarket to get some lunch then you can refill it with a free coffee! Many coffee shops also offer a discount on your drink if you use a reusable cup rather than a one-use takeaway cup that often contains plastic. And how about your little ones? My daughter, Isla, has such a wide selection of drinks containers! They’re constantly falling out of the cupboard, and she’s decided there are certain cups that can only be used for certain drinks/times! I am yet to find many though that are actually leak-proof! I may have finally found one though. This Klean Kanteen Kids Sippy cup is perfect for taking out and about, or using at home, and also is dishwasher safe. Always a bonus! It is made from brushed steel so is 4x more durable than their previous finish, and is specially formulated for human and environmental health. We’ve also found that Isla tends to drink better if she has a straw. It has been widely publicised recently that plastic straws are often very difficult to recycle, and so there has been a lot of pressure to cut down their use. 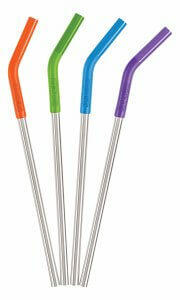 These stainless steel straws with a safe, food grade, removable silicon flexible tip are ideal for that. Isla loves that they come in lots of different colours, and I love that they come with a plastic free brush to clean them with. Not only that, but they’re also dishwasher safe! Did you know that 19% of the UK buy plastic bottled water every day? That is an extortionate amount of plastic bottles being unnecessarily used. 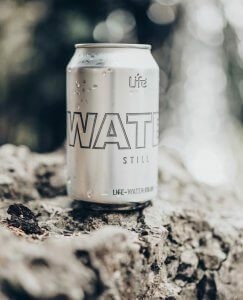 A plastic free alternative is the Life Water can. Every can is 100% recyclable, made from recycled aluminium and BPA free. Every can also funds clean water projects across the globe through Life Water’s charity partner, drop4drop.org, as part of their joint mission to alleviate the World Water Crisis. Aluminium cans have the highest recycling rate of any drink on the market. So if you are just wanting a drink of water, rather than something filled with sugar and caffeine, a drink like CanO Water. 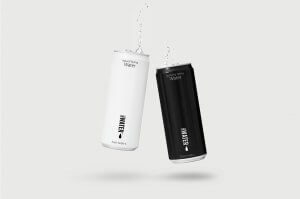 It is a full recyclable aluminium drinks can, and is an easy sustainable swap that can be made to combat plastic pollution. Another alternative is to use the ZeroWater water filter. With a bottle of water often costing more than a litre of petrol, it is an expensive purchase that too many of us regularly make. 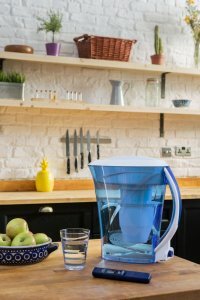 The ZeroWater removes 99.6% of all toxins found in tap water, making drinking perfectly filtered water easier, and cheaper. Why not fill up your onegreenbottle from your ZeroWater to take out with you next time, rather than spending your money on plastic bottles that will probably end up at the landfill or the ocean. How about cutting down on plastic use in the bathroom? You could try out this shampoo bar or conditioner bar from Funky Soap rather than buying plastic bottles of shampoo and conditioner? Or how about cutting down on the plastic from tampons and pads by trying out Modibodi? Reusable underwear that keeps you protected and carefree. Modibodi have also designed active wear and swim wear, as well as breastfeeding singlets too, so no need for uncomfortable and itchy disposable breast pads! If you’d like to learn more about living without plastic, then Friends of the Earth have a great website as well with lots of information. How are you trying to reduce your plastic use? Disclaimer: This post contains affiliate links. Some of these products were sent to us for inclusion within this post.